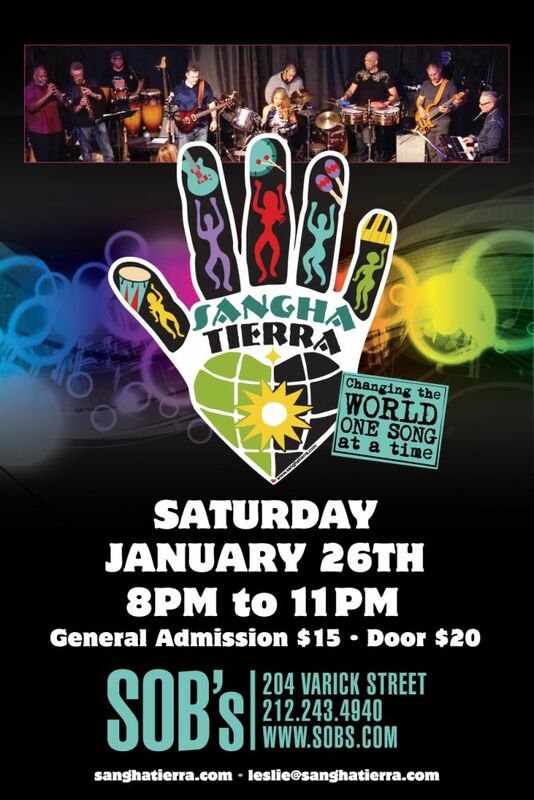 Now with the new self-titled EP SanghaTierra is a 10-piece band from the New York City/New Jersey Area that mixes World & Latin music influences.”Sangha” in Sanskrit means a community that is spiritually connected and “Tierra” in Spanish means Earth. Our goal is to create a world community that is spiritually connected through our music. To accomplish this, we play a fusion of world genres and express our positive message of love and unity in several languages, including English, Spanish, Portuguese, etc.